There are two pools at the centre. The learner pool is 15 metres long and 0.9 metres. 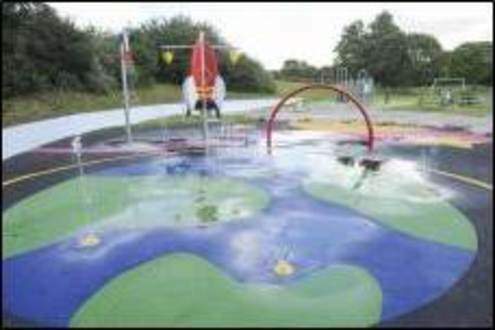 The paddling pool, which is just outside, has shallow entry and is 0.45 metres at its deepest point. An interactive facility for all the family to enjoy. It has a rocket ship and space themed water features making this splash pad out of this world!